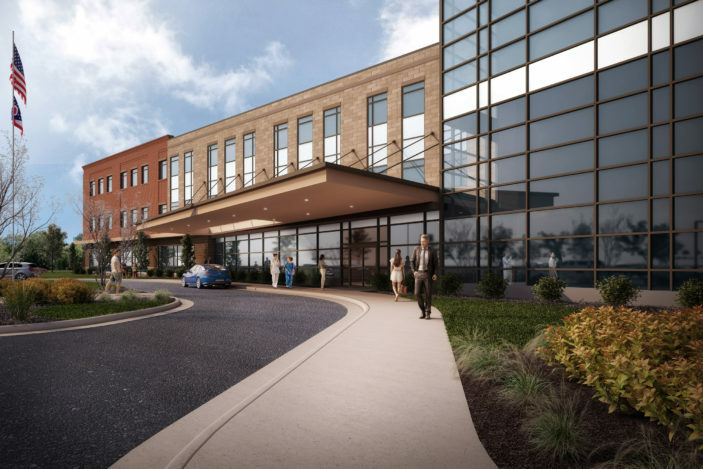 In 2012, Andrews Architects was asked by Mercy Health System of Toledo to assist with long term planning for a newly acquired, 12 acre “greenfield” site with prime visibility from I-475 in Perrysburg, Ohio. 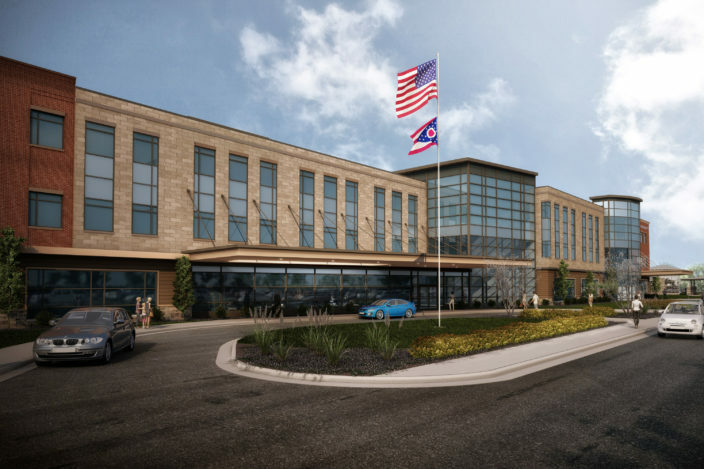 Conceived to address the growing need for community-based healthcare services in this fast growing Toledo suburb, Andrews was asked to plan for initial development of a first phase 24/7 freestanding emergency department. 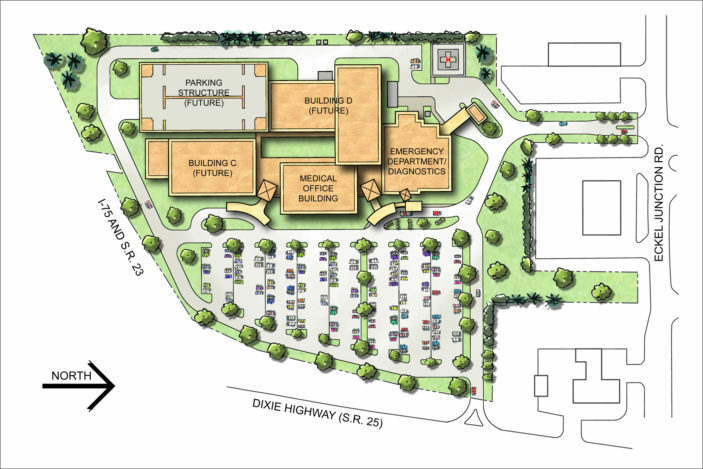 To accommodate desired future services, Mercy asked that the site allow for long term, phased growth to accommodate a future Cancer Center, Medical Offices, and ultimately, 50 Inpatient Beds. Accommodating such a large scope of services on a constrained site required careful planning to assure all future services maintained correct functional relationships, while allowing for patient and staff connections; patient, visitor, staff, and emergency and service vehicles access and parking; and logically phased expansion with minimal disruption to existing services. To provide required parking during the final Inpatient Beds development phase, Andrews was able to show how structured parking could be constructed to seamlessly integrate with the existing campus development.